Detractors of Shroud of the Avatar like to complain about many things. One of their common complaint is about the game's graphics. They like to complain that it looks like something from year 2000. 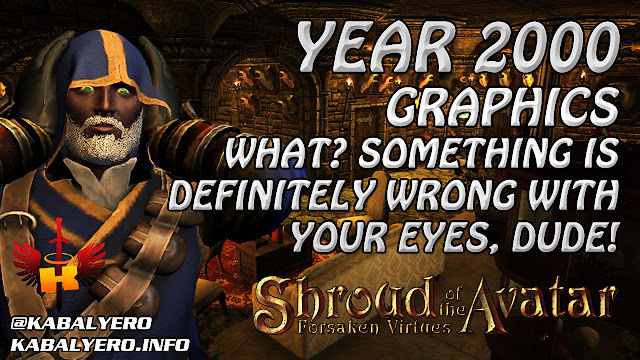 Obviously, these people have never played MMORPGs from the year 2000 because Shroud of the Avatar's graphics, even with my Fastest Graphics setting, looks 100 times better than anything from 2000. LOL!